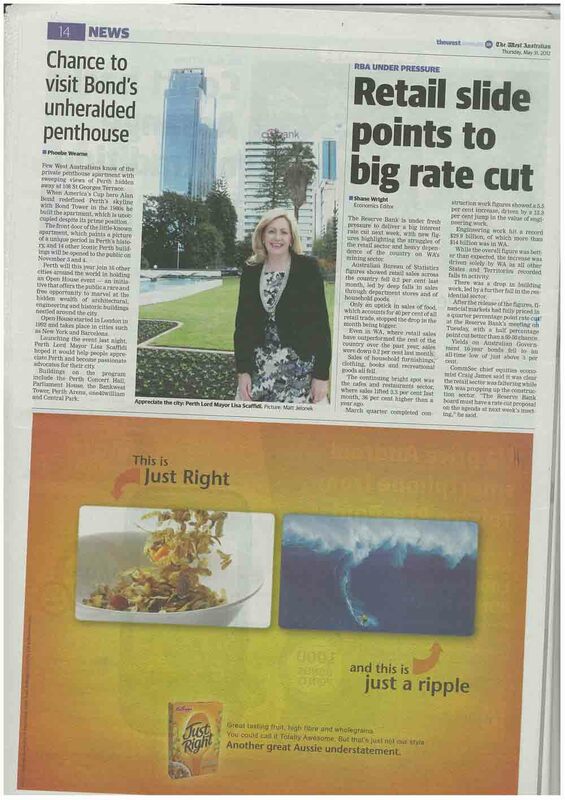 Page 14 of today’s West Australian showcased the first newspaper article on Open House Perth following its media launch event at Council House last night. ‘Open House’ kicked off in London in 1992 as a simple but powerful concept: showcasing outstanding architecture for all to experience, completely for free. It has since grown to include 17 cities internationally with each city taking charge of its own initiatives that invite people to explore and understand the value of a well-designed built environment. Perth is one of the most recent additions to the Open House program. Other cities joining this year are Adelaide, Budapest, Lisbon and Rome. Open House Perth 3rd-4th November 2012. Locked in!